These moong dal chilla have me drooling. 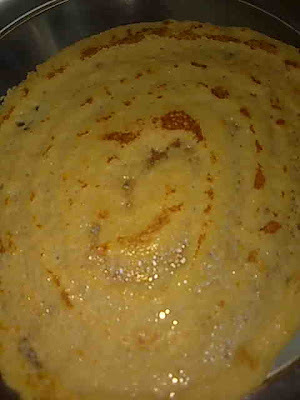 I make them frequently in our breakfasts as me and my husband both loves them. My husband insists on onion, tomatoes so I have found an easy way out. 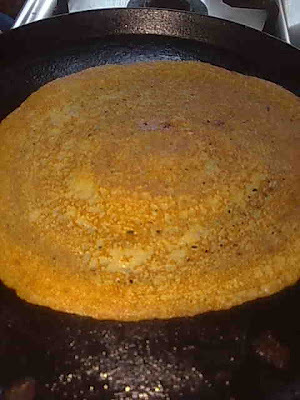 I grind them along with soaked moong dal which gives the chilla a unique flavor and makes it easy to make. You can also call it moong dal dosa. 1. Soak mung dal for 2 hours. Drain and grind along with rest of the ingredients except oil. Add little water to get thick pouring consistency. Beat well. 2. Heat a non-stick tava (griddle). Smear it with oil. Turn the heat to low. With the help of a tablespoon, put 2 tablespoons in the centre of the tawa. 3. With the help of the tablespoon, spread the batter outwardly in the round, circular motion into a thin round. Now turn the heat to medium. 4. Pour some oil over the chilla and after about 3 minutes; turn over the cheela so that other side also gets cooked. Use a wide, thin spatula for doing this. 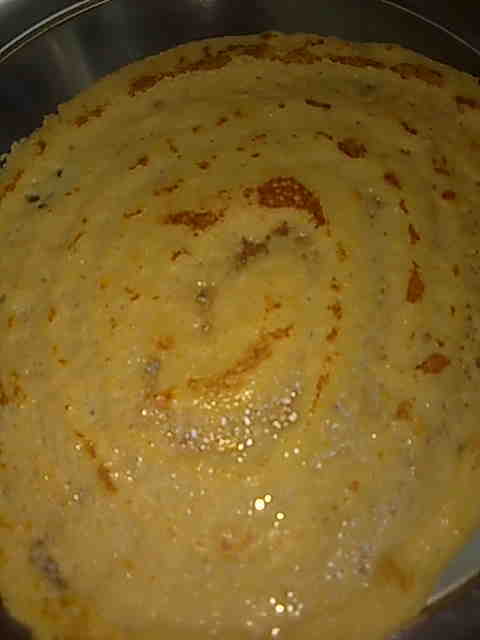 After 2 minutes remove the moong dal chilla from the tava. Similarly make other chillas from rest of the batter. Serve hot with green coriander chutney. Note- Always spread chilla on a low heat and cook on medium heat.